Over the past few weeks, we’ve heard almost everything we need to know about the upcoming Samsung Galaxy Note 7 — its design, specifications and what not. Recently, the popular Twitter leaker Evan Blass posted another press render of the upcoming Samsung Galaxy Note 7 in Coral blue color — the stylus is also in the same color which looks quite cool. 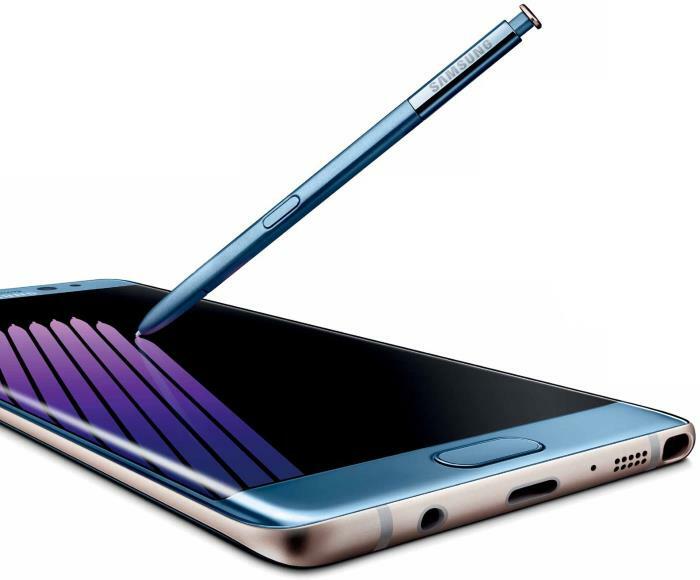 Samsung is set to hold its Unpacked event for the launch of the Samsung Galaxy Note 7 on August 2nd. The handset should go on sale in the same month after launch. As far as the specifications are concerned, rumors suggest that Samsung Galaxy Note 7 will come with a 5.8-inch display sporting a resolution of 2560 by 1440 pixels. The handset is expected to come with a Snapdragon 821 or Exynos processor, depending on the market you’re residing in. The handset is also expected to feature 6GB of RAM, 12MP camera for photos and videos, 5MP front-facing camera, iris scanner and is expected to come with Android 6.0 Marshmallow as its operating system out of the box. Stay tuned, it’s just a few weeks away, we’ll update you as soon as the handset is launched.